Is Wedding Photography The Hardest To Master? Although I could be subject to a smidgen of bias, given the fact that I myself am a wedding photographer, my answer is still plain and simple. Most people don’t realize this, but in order to be a first-rate wedding shooter, one needs to have two highly developed executive skills. Time management and Crowd management. 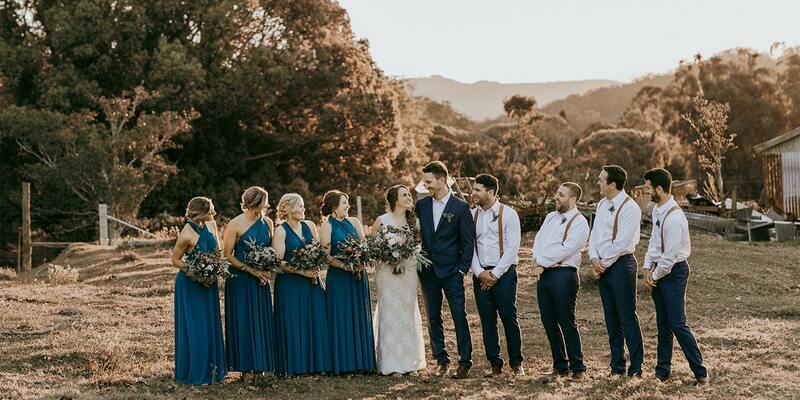 Because on the day, not only do you have to keep track of segment durations (ranging from bridal prep through to travel times between venues if applicable), you need to also usher people smoothly through formalities such as group shots etc. to slot in the best lighting for the couple’s post-ceremony shoot. Otherwise you run the risk of forfeiting the most ideal conditions due to delay. Always being cognisant of the schedule as well as being warm and personable, therefore, will greatly help you direct the flow of the day to your benefit. Kind of like a second wedding coordinator. Unlike most other types of photography (i.e. newborn shoots, pet photos, real estate marketing, celebrities etc. ), weddings have almost no margin for error. You can’t adjust the subjects in any way, you can’t tweak the lighting as though you were in a studio, and if you miss a moment, it’s gone forever. This is partially why wedding photographers get the cred that they do. Think about it, if you see a photo of a glamorous model or a famous athlete, you don’t immediately wonder who it was that took the photo do you? But when you see a photo of total strangers, held in each other’s embrace, you are more likely to exclaim ‘Oh wow, where was that shot taken, and who was the photographer that captured such a sweet moment?’ Why? Because it’s real. The people and emotions are real. No one is acting or performing. And so the authenticity captivates us; which in turn makes creating such images that much more tricky. But a true wedding photographer wouldn’t have it any other way. Further to the previous point, a wedding will usually go ahead, rain, hail, or shine. Thus making the day’s lighting conditions about as unpredictable as you can imagine. A sunny outdoor wedding could move into a wet weather back-up shed within minutes. A picturesque wander across grassy plains could turn into an artificially-lit, make-do background with little notice. So it’s up to the wedding photographer once more to dig deep into his/her bag of tricks to create the best imagery possible with the circumstances afforded, while at the same time, trying to uplift the couple’s spirits. No easy feat by any means, and yet sometimes, an unexpected idea is all that’s required to transform the shoot into a brilliant collection. So yes, I do believe that wedding photography takes the cake as far as degree of difficulty. But along with it, the potential to elicit some of the rawest emotions ever documented. And that alone makes it all worth it. Ready to take the plunge and invest into your signature colors as a wedding photographer? Join the family. Sign up to join our family.